The latest blast prompted worries of sectarian retaliation in the majority Catholic Philippines, with authorities urging inter-faith unity as investigators hunted a motive. 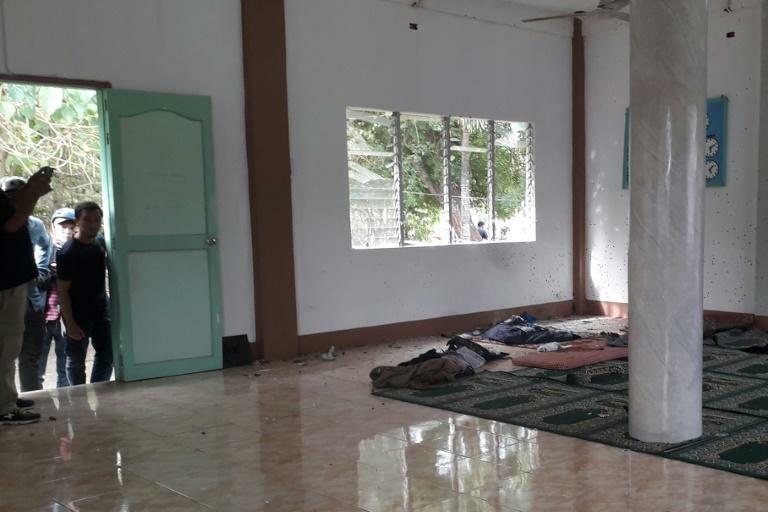 The grenade explosion tore through the mosque as the victims were sleeping before dawn on the insurgency-plagued island of Mindanao, which is home to the Philippines' Muslim minority. Four people were wounded in the attack. 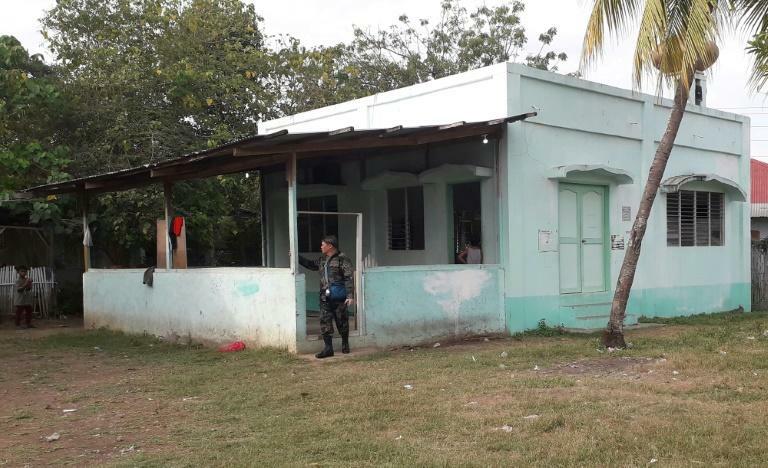 Just three days earlier, a bombing at a cathedral on the neighbouring island of Jolo claimed 21 lives at Sunday mass in an assault claimed by the Islamic State group. Authorities warned against speculating the mosque attack was an act of revenge, adding they had no indication it was retaliation for the cathedral bombing. "We're still looking at it, but we have not found any connection," Defence Secretary Delfin Lorenzana told reporters. "In the past when churches were bombed ... there were no revenge attacks." 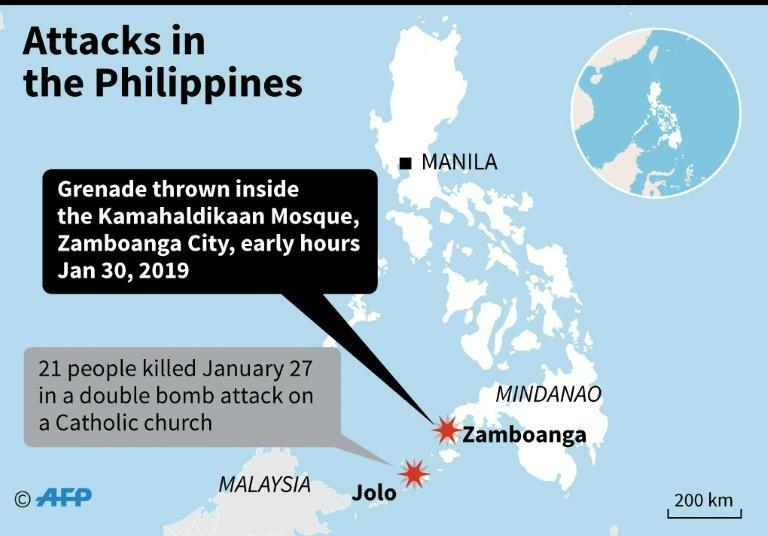 "Regardless of one's faith (we) must resist becoming a victim of this vicious cycle of violence these terrorists are now attempting to create," Zia Alonto Adiong, a politician in the southern Philippines, wrote on Twitter. "Let us not fall into their trap and give them the satisfaction of turning ourselves (Muslims & Christians) into enemies." Authorities are also hunting for those behind the cathedral assault, which security forces initially said was not a suicide bombing. On Tuesday, however, President Rodrigo Duterte contradicted them, saying one of the bombers had blown himself up outside the cathedral. If confirmed, it would be only the second known suicide attack in the Philippines after a van bombing in July that killed 11 and was also claimed by Islamic State. Lorenzana appeared to walk back on the president's comments on Wednesday, saying: "The final conclusion is not there yet. It's still being investigated." The attacks have cast a shadow over hopes that a vote to give Muslims in the south more control over their own affairs would help quell long-running separatist violence. Rebels and the government in Manila have expressed hope the new so-called Bangsamoro area will finally attract the investment needed to pull the region out of the brutal poverty that makes it a hotspot for recruiting radicals. However, hardline factions aligned with IS were not part of the decades-long peace process with the nation's largest separatist group, the Moro Islamic Liberation Front, that culminated January 21 with the resounding approval of a new Muslim led-region in the south. "There is no redeeming such blasphemous murder. It is the highest form of cowardice and obscenity to attack people who (are) at prayer," said regional leader Mujiv Hataman. "We call on people of all faiths ... to come together to pray for peace."